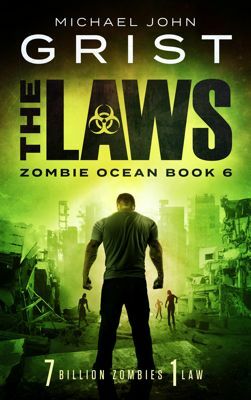 The Laws is Book 6 in the thrilling Last Mayor series. 7 billion dead. 1 law. Twelve years after the apocalypse, New LA is finally at peace. 3 bunkers have signed the treaty, the demons are gone, and Amo’s people think they’re finally safe. Lara falls sick, hit by destructive hallucinations that threaten her life, just as The Laws arrive in New LA, fellow survivors with a very different idea of what survival is. Nothing will be the same again.